Now this was a good start to the trip – flew into Auckland, jumped into a cab and headed to the Copthorne Hotel. A quick check in and down into the Reception area. From there one of the staff directed us over to the Provedore pub – a great little pub over on the wharf. As luck would have it, we wandered in at about 5 pm just when they we’re starting Happy Hour! Wooooohoooooo! $2 Beers – A Nice Start! Heinekens were $2 each and the lads tucked in. They also provide free sandwiches and a BBQ for free during this time. Life can be very, very good sometimes. From drinks we wandered over to the Kermadec Restaurant, across the road. 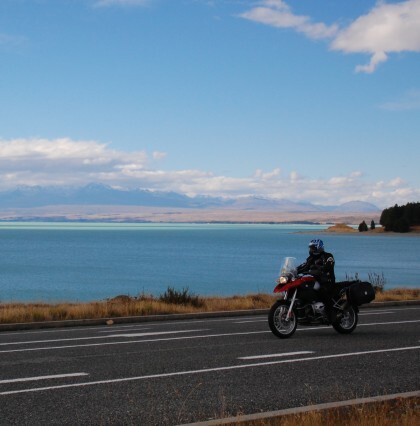 After a wonderful 4 course meal, a few wines and beers, we got tucked into bed for a nice early start the next day to ride the roads of the North island of New Zealand.